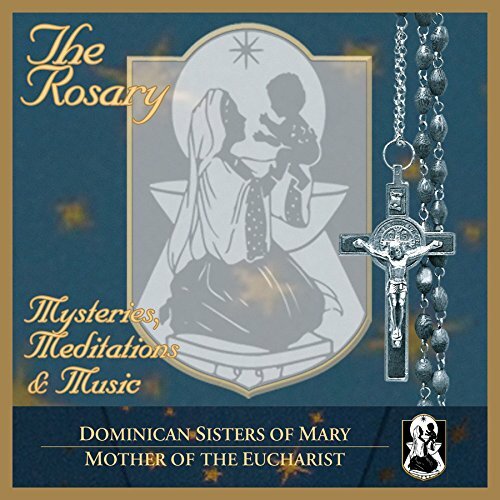 The Dominican Sisters of Mary return with a new offering from their community entitled: The Rosary Mysteries, Meditations & Music. This album comes as a response to fans of their successful chart-topping Billboard 2013 recording Mater Eucharistiae. Be transported back to their Ann Arbor chapel and experience their beautiful and pure renditions of the spoken prayers of The Rosary, as well as their original meditations, set to their own sacred music. The Sisters may be recognized due to their multiple appearances on The Oprah Winfrey Show, and the extensive publicity they have received in the US and Canada through outlets such as CBS This Morning, NPR, The New York Times, The Detroit Free Press, The Washington Post, CNN, Fox & Friends and beyond. The Dominican Sisters of Mary placed in the finals of The American Bible Challenge, hosted by Jeff Foxworthy on The Game Show Network. The Dominican Sisters of Mary, Mother of the Eucharist, founded 17 years ago and with 120 sisters currently in the Community, also have teaching missions in schools all over the US.